Nerd HQ is back for its second year in the San Diego Gaslight District, right across from the Convention Center during Comic-Con. The star of the now-cancelled series Chuck, Zachary Levi, is back selling Nerd swag, promoting video games, and offering fans a second chance to see some favorite TV and movie celebrities. Nerd HQ is a nice break for convention goers and a welcome opportunity for local Californians who couldn’t get Comic-Con tickets. Last year we attended the panel featuring Scott Bakula, star of Quantum Leap, Men of a Certain Age and Enterprise, discussed here at borg.com last July. At start time the panel still had available seats and they showed us in for free. The discussion was interactive and cozy in a way you can’t really get with the larger Comic-Con venue. And you really can interact. Levi praised E.C Bunce and my Chuck “Buy More” and “Nerd Herd” outfits and even poked fun at her prosthetic alien head later during a panel. 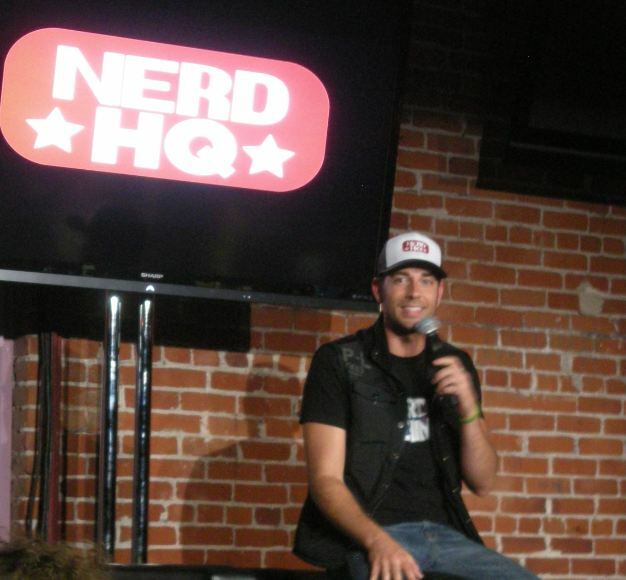 This year the panels will be broadcast live at break.com/nerdhq, so even if you don’t pay the $20 per panel charge, you can still get your panel fix like you were there in person, no matter where you’ll be that weekend. Features Terry Crews, Dolph Lundgren and Randy Couture talking about the follow-up to the 2010 action film The Expendables. Actors from the USA Network detective comedy series will be making an appearance to talk about its upcoming seventh season. No specific actors appear to be confirmed yet. Expect Zach Levi and a few other actors talking about the wind-up of the series. Seth Green (Buffy the Vampire Slayer’s character Oz, will be discussing his series airing on Cartoon Network. The big guy himself. ’nuff said. No stars locked in yet for a discussion of this new Quentin Tarentino flick. Director Guillermo Del Torro is expected to bring some actors discussing the coming computer-animated action-adventure comedy film about Santa Claus, the Easter bunny, the tooth fairy and others battling the boogey man and Jack Frost. 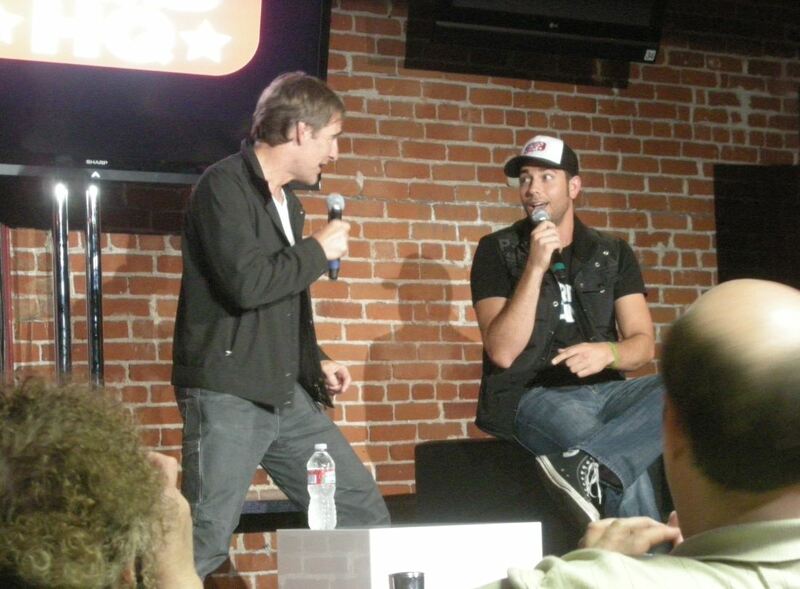 The Castle and Firefly star returns to Nerd HQ for his second appearance. No specifics released yet for this new video game. Paul Scheer’s National Terrorism Strike Force: San Diego: Sport Utility Vehicle show airs on Cartoon Network’s Adult Swim. No specifics yet. A trailer? A video game preview? That’s all that’s been released so far. Proceeds from the panels go to Project Smile.